Blog » Should I Buy a House or Rent 2017? Have you had a problem with your accommodation? You do not know whether buy a house or rent is appropriate. Hopefully, this topic can give you some solutions to make a right decision. Buying a house can be expensive but there is stability. Renting a house can cause less freedom but it is flexible to move to another place. 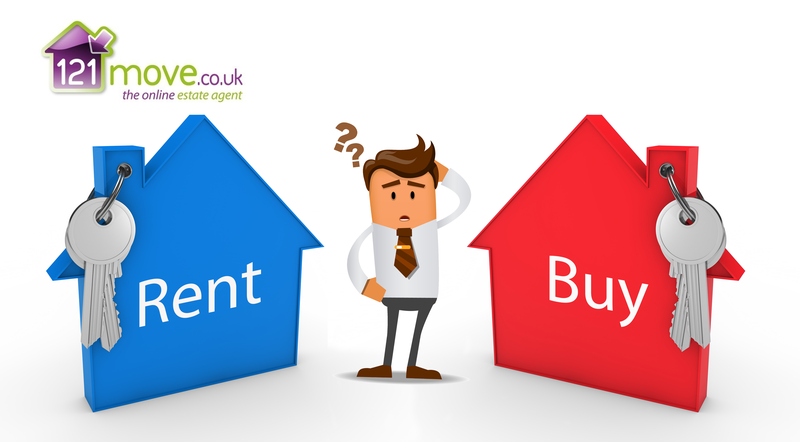 There are some advantages and disadvantages to both buy a house or rent. It is incontrovertible that there is a huge amount of money to buy a house but a house is also a “home” where you can live stably and, perhaps, raise a family, build a career and save money. Actually, owning a house is a thing that almost people dream. Sometimes, buying a house is not the best investment, but in the end, it’s still yours. As a homeowner, you can decide the exterior, as well as interior furniture of your house such as building their own garden or even redecorate that best, fits your lifestyle and there are no answers from the landlords. Also, you can feed any pets you love. You can live freely without the rules from the landlords but you have to pay accrued expenses when there is something wrong like a leak. You can also have a steady life without worrying about changing the landlords’ mind that they can take their house back some time. Nevertheless, if you want to change your accommodation, relocate for a job or take time off to travel then it will be complicated because it takes a long time to sell or rent out, so relocating for a job or taking time off to travel becomes more complicated. One more important thing, it is essential to make friends with your neighbor since you may need their help in the rest of your life. Financially, you can earn your own profit if the house’s price increases. It is usually to take cheaper to rent for short time but if you do not purchase your own house then you may have to rent a house for the whole life. Buying a house can bring you equity, putting you on the fast track to building wealth. Renting, by contrast, is considered as throwing money to the wind because the landlords may keep some or all of it. Increasing the house’s property can lead to a high value of it, however this only benefits the landlords. In usual, the tenants are not allowed to renovation the house without the approval of the landlords because there may be the damages. However, you do not have to pay for all repairs or renovations due to the landlords’ responsibility. Sometimes, you cannot have a free life according to the landlords’ strict rules but you can flexibly to move to another place to live. Furthermore, it is easier to look for a house for renting than ones for buying. On the other hand, you should prepare for a situation that the landlords can increase the price for renting or they can take their houses back for sale. You can see there are some benefits but drawbacks of buying or renting a house. There is no idea for best buy or rent a house because it depends on many factors especially your priorities for example that for your children or your retirement. Once you identify exactly what you want, then you will have a smart choice.